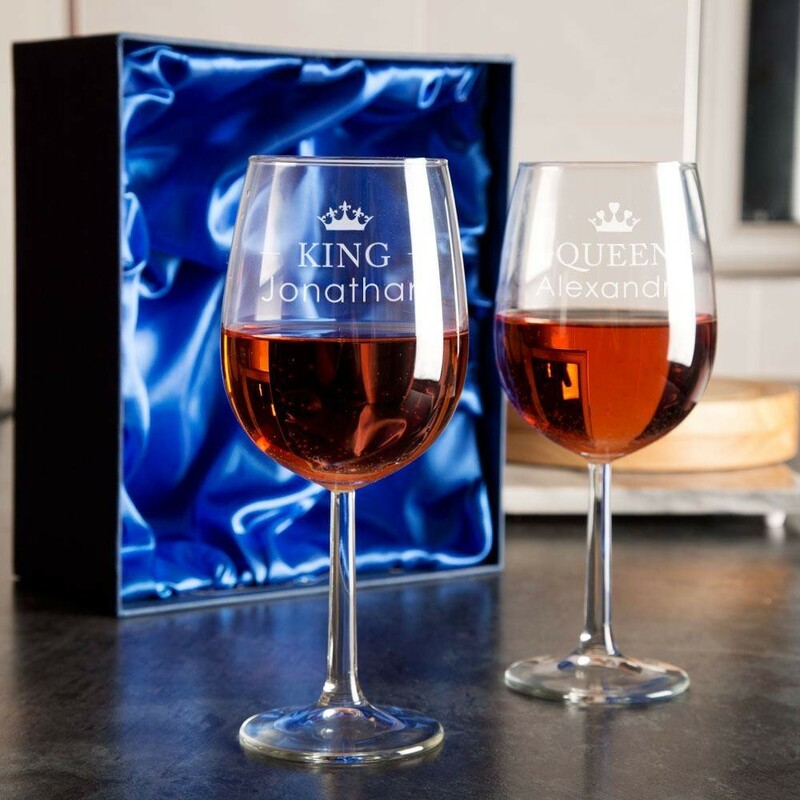 Our king and queen set of wine glasses are an ideal gift for weddings, anniversaries, and Valentine's Day. 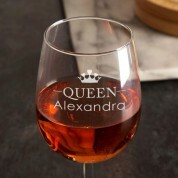 Treat the happy couple, or your other half, like royalty with their very own personalised glass. 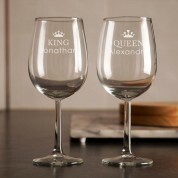 The glasses have a king and queen design, each with the recipient's name on them. The crown designs differ for his and hers, adding an extra personal touch to them. They make a practical and fun keepsake gift, and look stunning when on display or in use. They are laser engraved in house, giving a finish which will last a lifetime. A silk lined presentation box is included with the set of wine glasses. Dimensions: Each glass approx. 22cm tall, holds approx. 460ml.